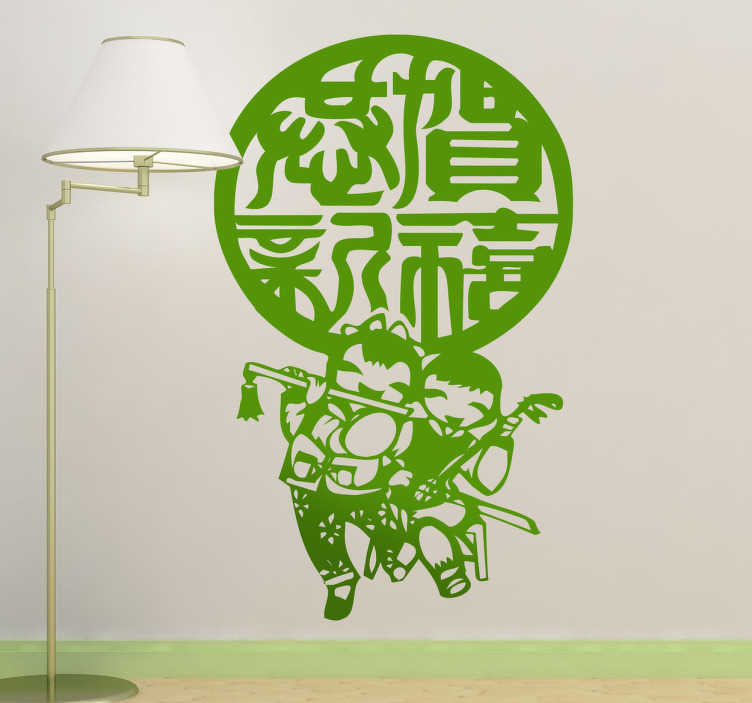 A superb monochrome wall sticker illustrating two young musicians playing the recorder celebrating the Chinese new year. Festive decal to decorate your home and celebrate in the right atmosphere! Available in various colours.